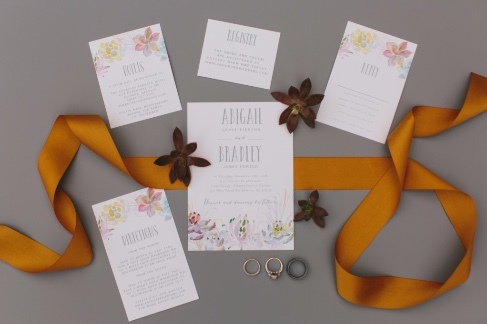 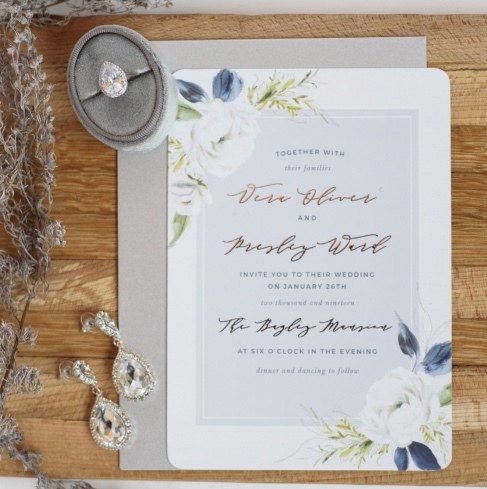 The Simple Brushstroke Wedding Invitation Suite adds a simple and modern look to you upcoming nuptials. 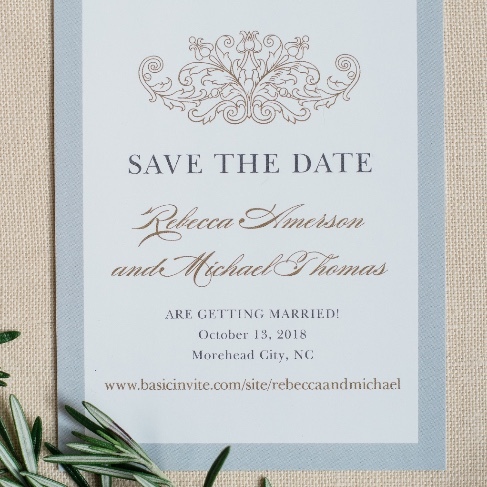 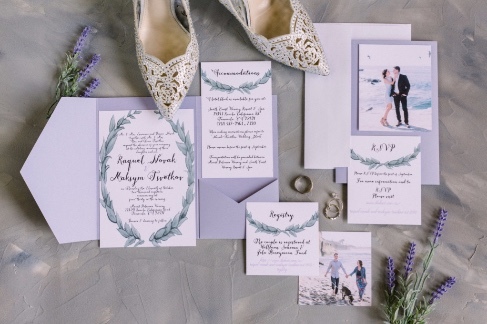 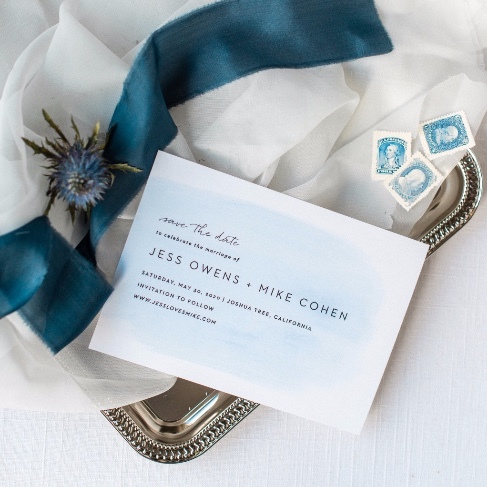 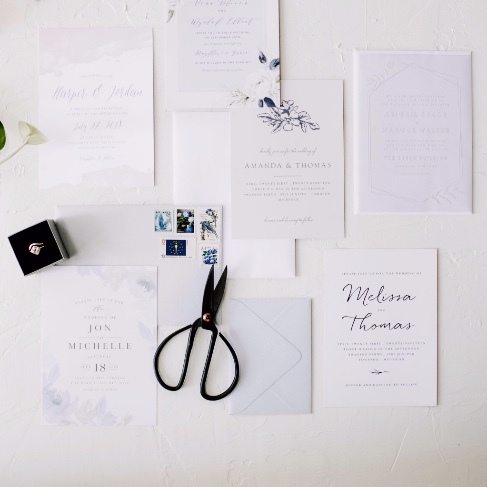 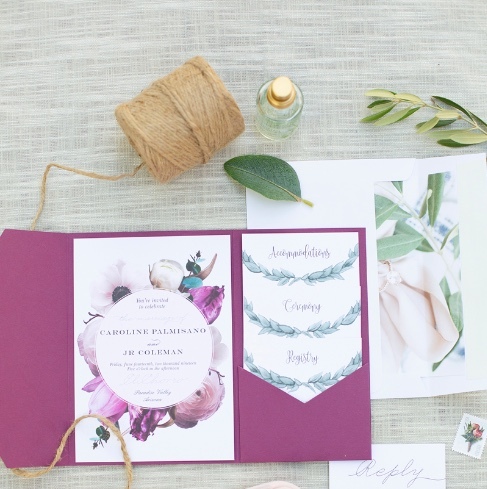 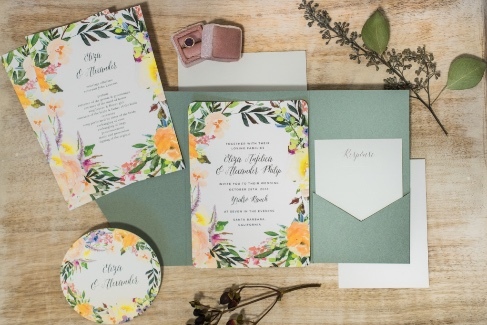 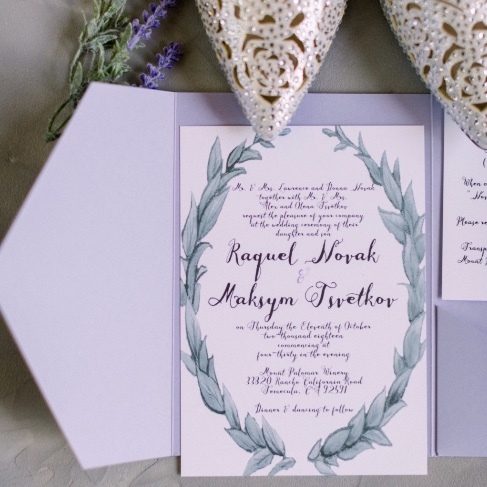 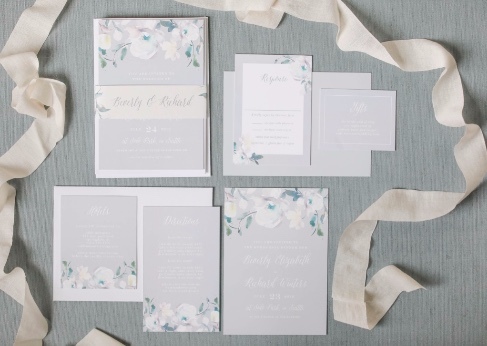 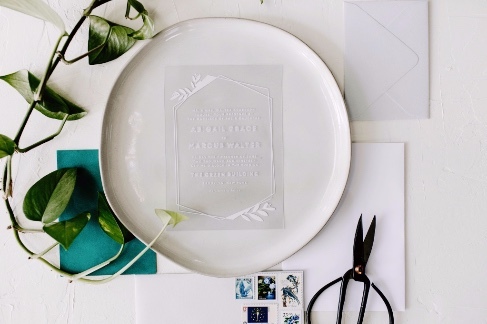 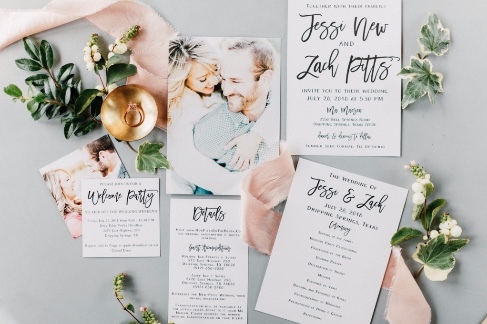 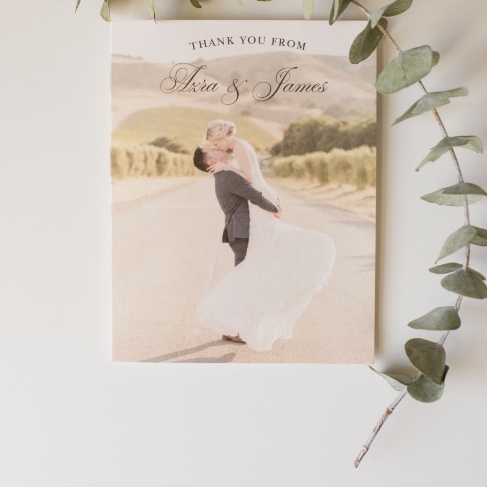 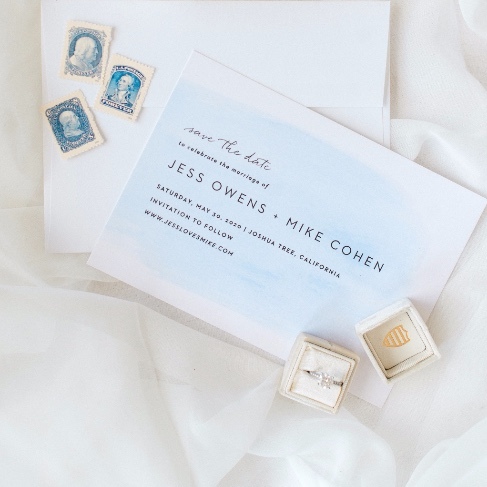 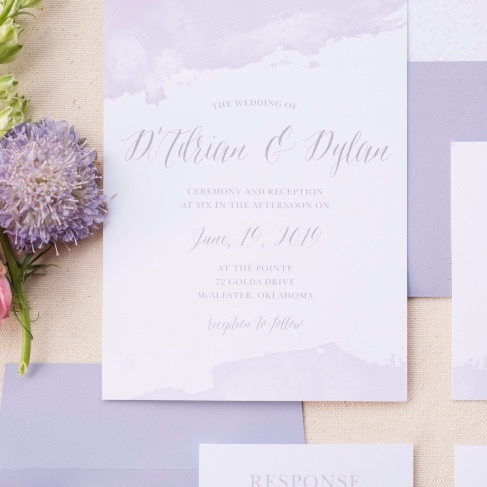 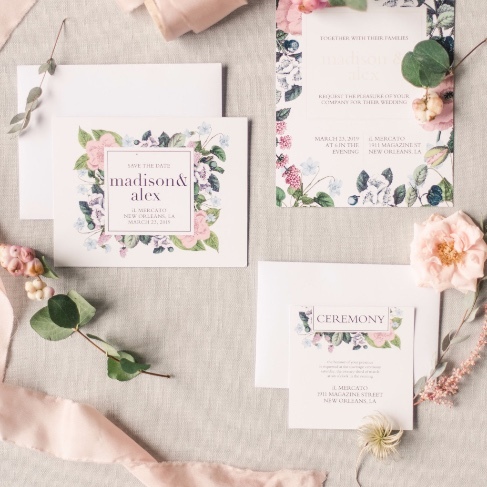 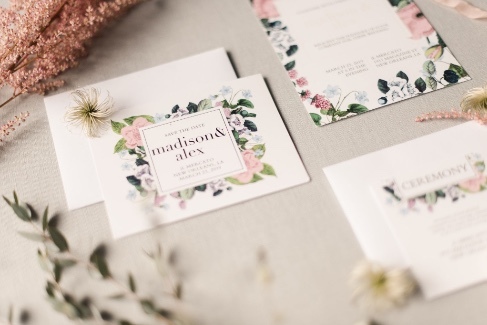 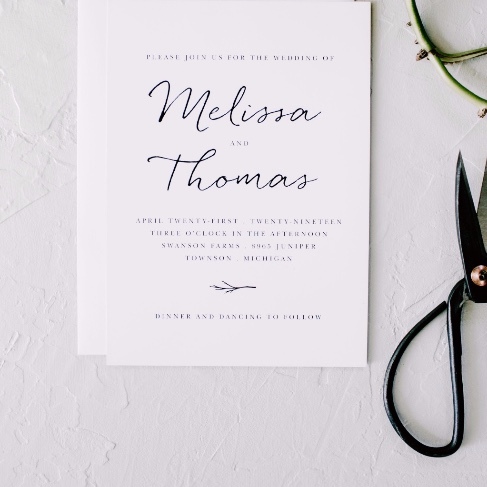 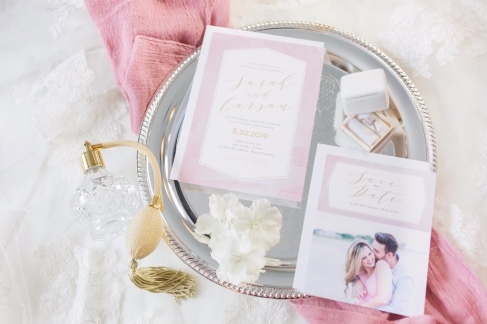 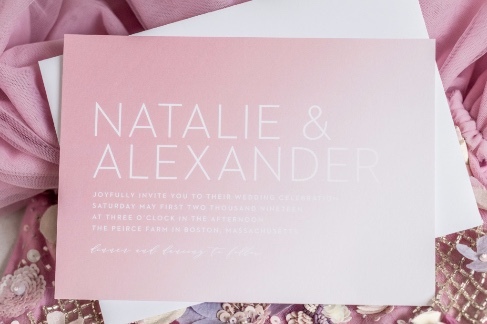 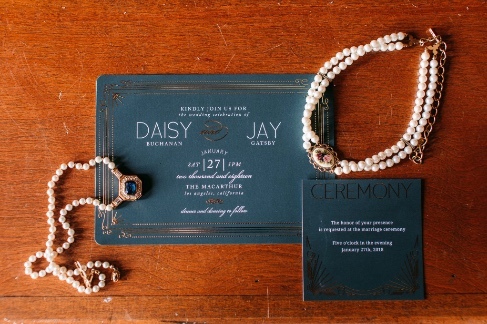 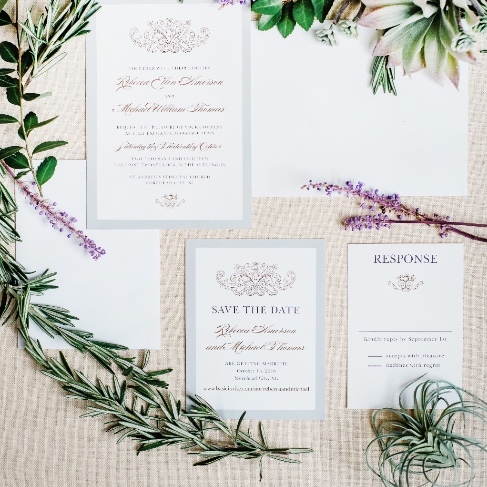 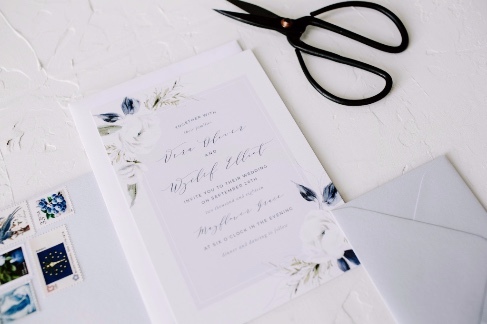 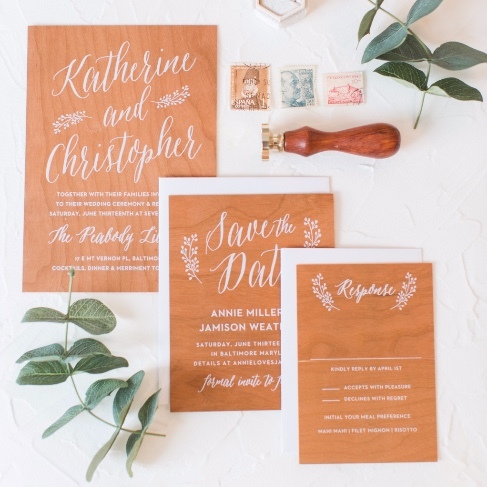 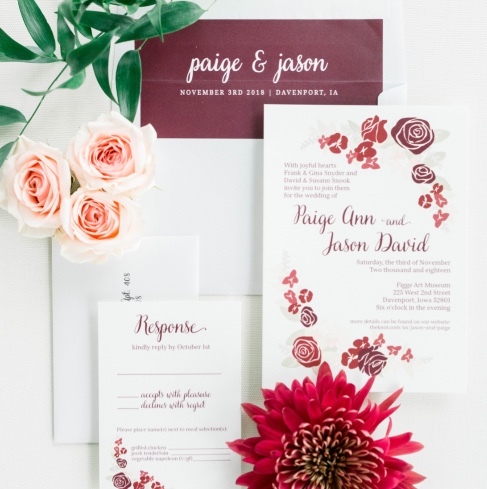 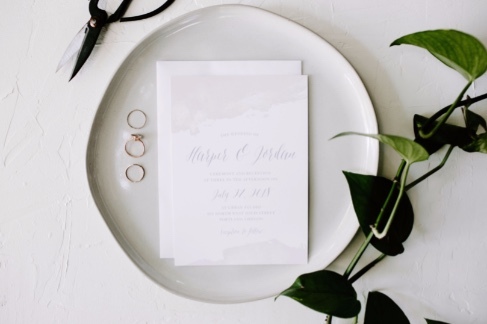 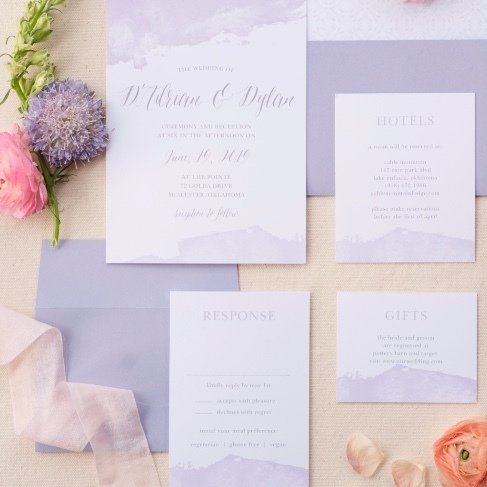 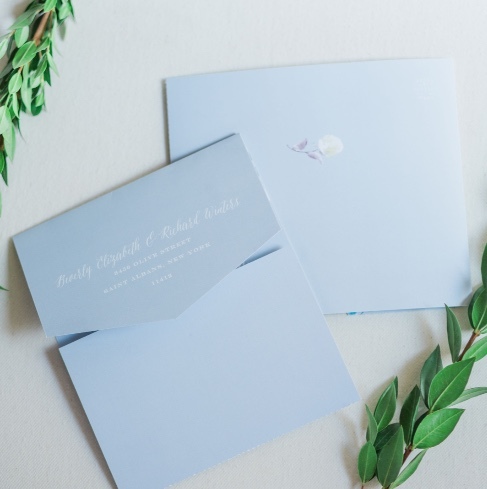 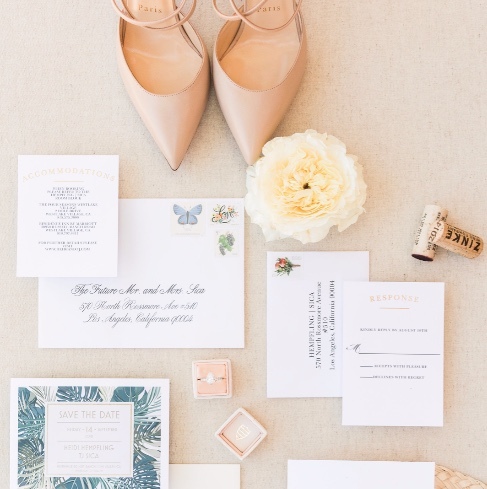 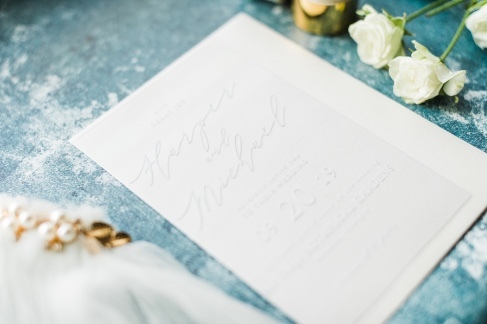 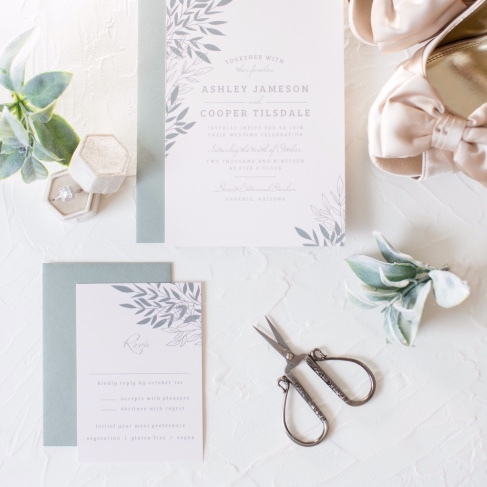 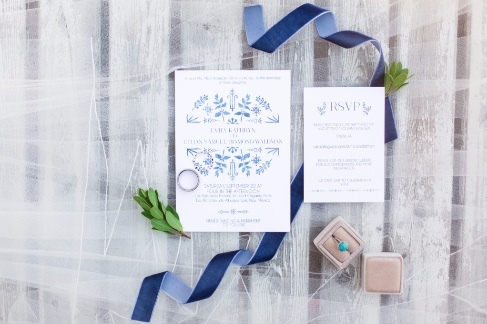 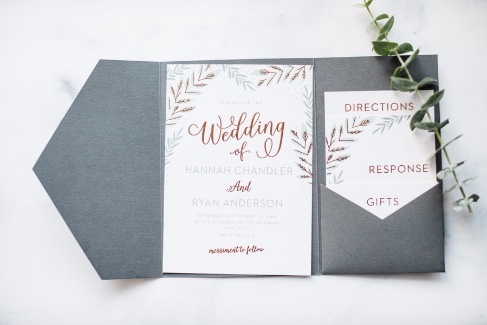 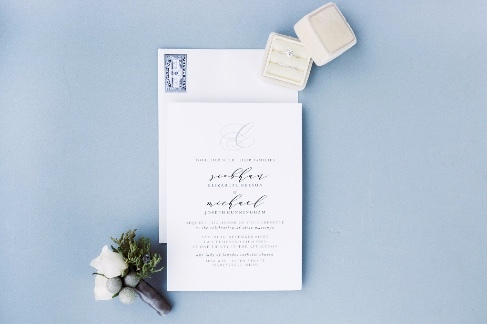 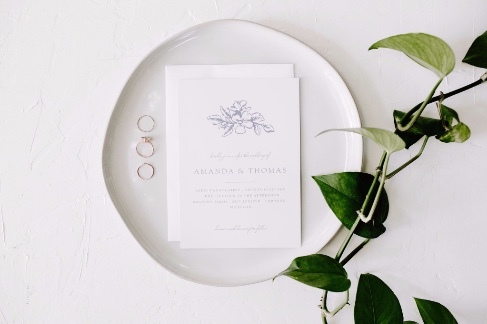 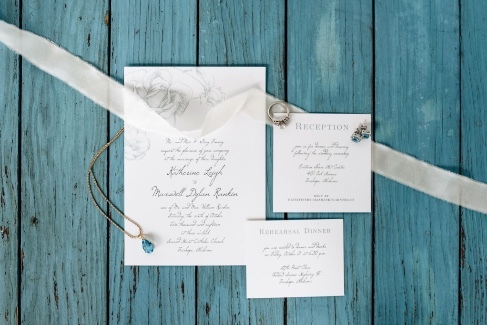 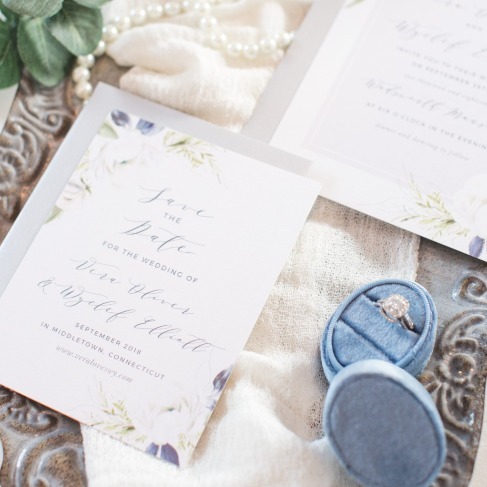 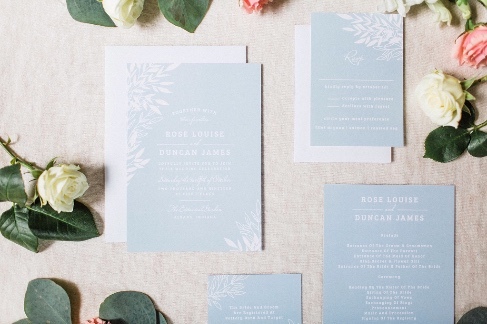 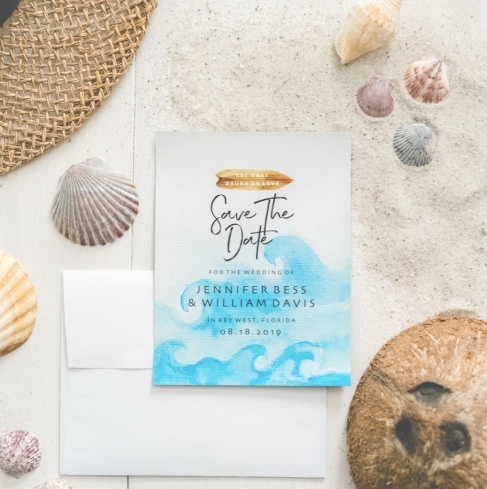 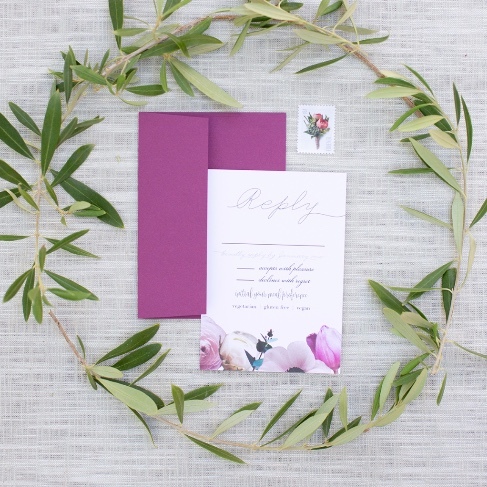 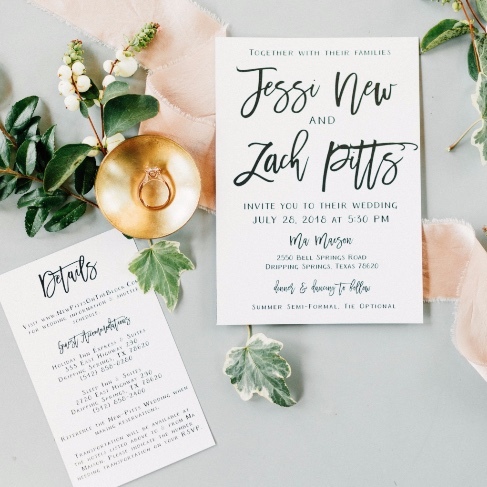 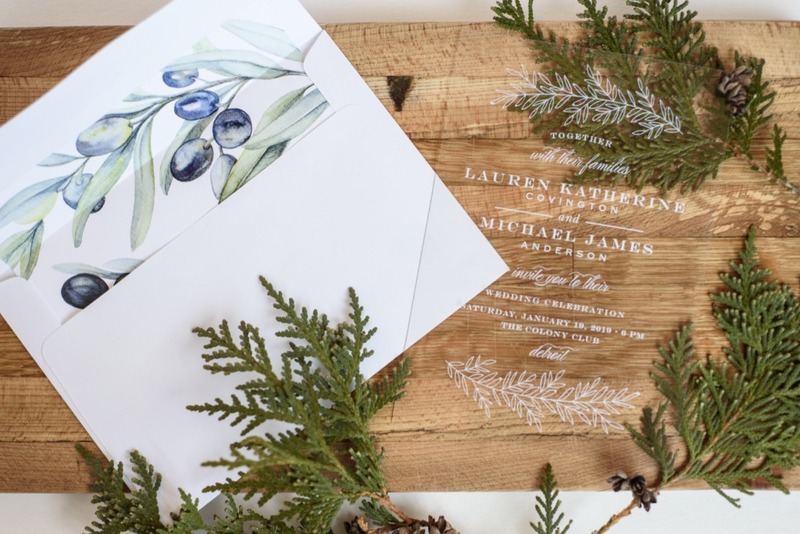 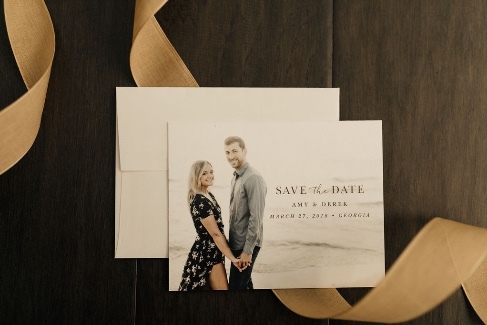 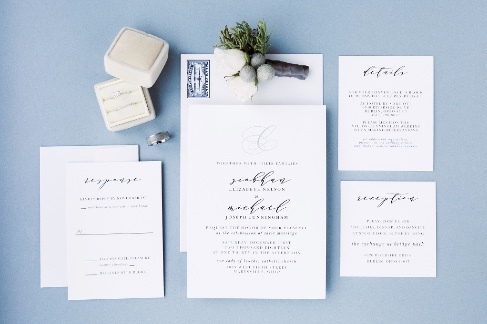 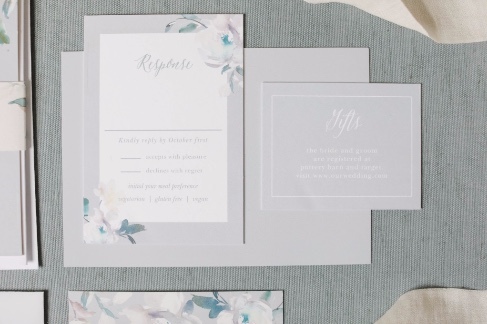 Add a subtle pop of color to your Simple Brushstroke Wedding Invitation Suite. 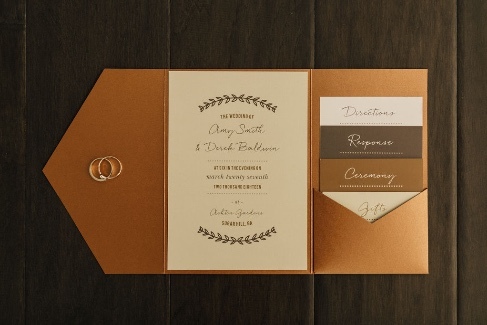 With over 280 colors to choose from, your bound to find the perfect shade! 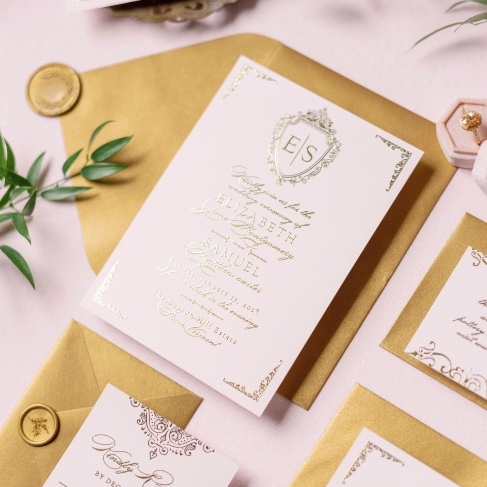 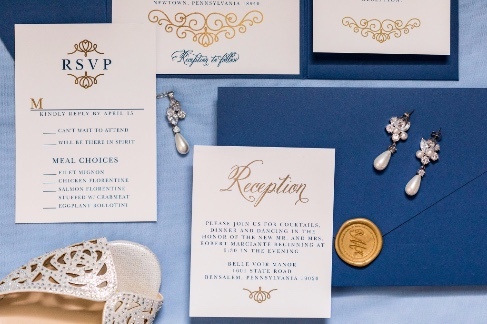 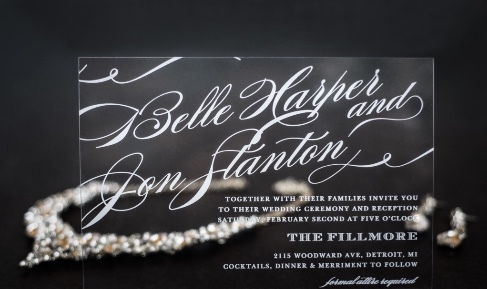 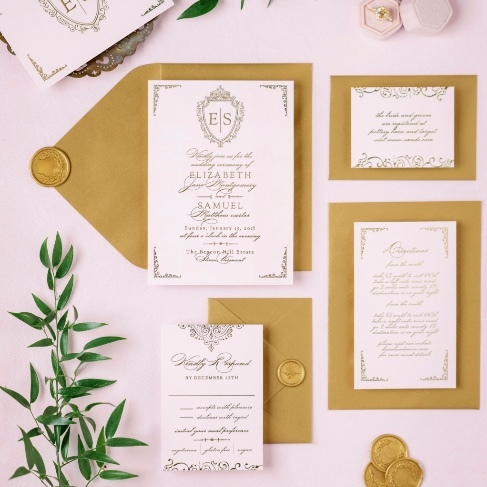 Keep things beautifully classic with a Gold Foil Scrolling monogram wedding invitation!